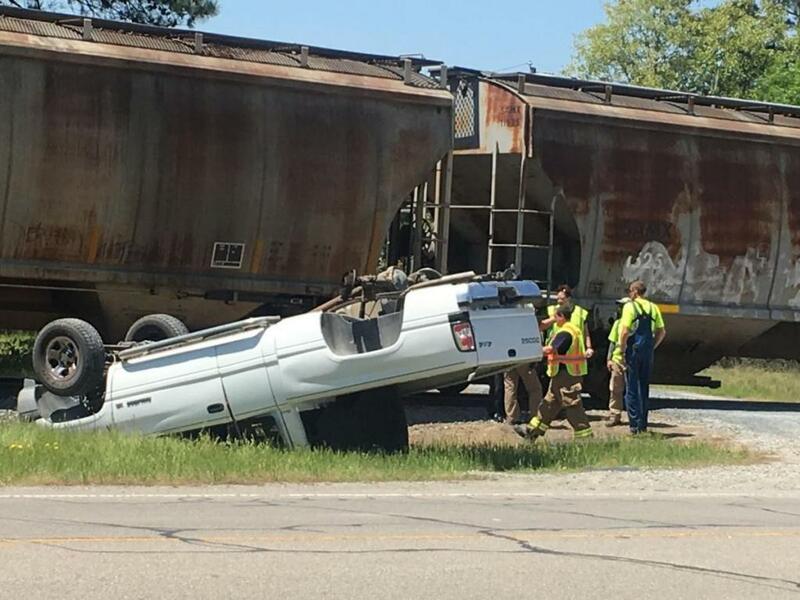 Emergency responders were dispatched just after 12:00 pm to NC Highway 211 in front of West End Elementary School after an accident between a train and a pickup. 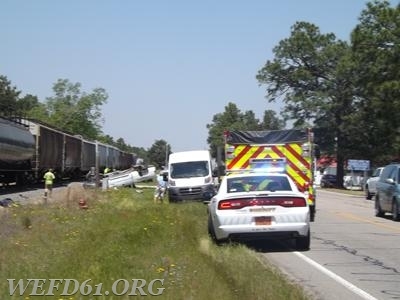 According to emergency officials at the scene a Dodge Ram pickup pulling out from a private drive onto NC Highway 211 drove in front of an approaching freight train. 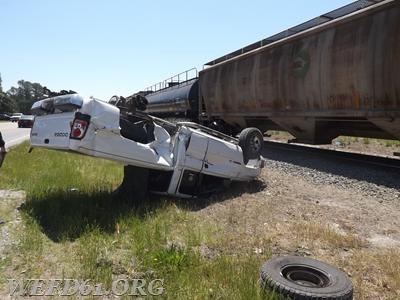 The train which was pulling empty freight cars was unable to stop and struck the pickup flipping it over onto its rooftop. 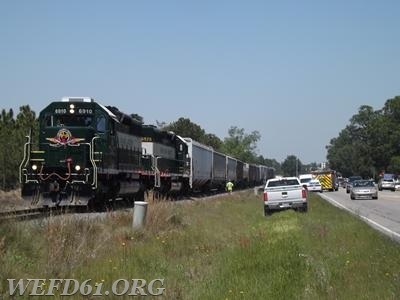 Officials stated that the slow-moving train was estimated to have been going between 25 and 30 miles per hour when the collision occurred and stopped a short distance after the accident happened. An adult male from the pickup was transported by ambulance to FirstHealth Moore Regional Hospital with injuries reported as not life-threatening. There were no injuries reported from the crew on the train. The eastbound lane of NC Highway 211 was temporarily blocked while the injured man was assisted. 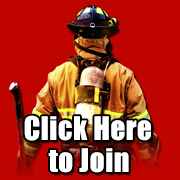 Responding to this accident were units with West End Fire & Rescue, Moore County EMS, Moore County Sheriff’s Department, and the NC State Highway Patrol.